Prior to joining the Firm, Karissa Sauder clerked for the Honorable Eduardo C. Robreno of the United States District Court for the Eastern District of Pennsylvania. Shoshana Savett is an Associate in the Securities, Consumer Protection and Commercial Litigation practice groups. She concentrates her practice primarily in the area of securities class action litigation. Richard Schwartz is an Associate in the Antitrust practice group. Mr. Schwartz concentrates his practice in the area of complex antitrust litigation with a focus on representation of direct purchasers of prescription drugs. 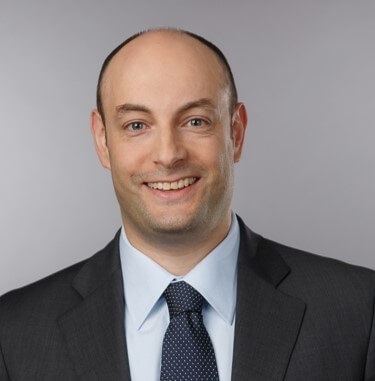 Daniel C. Simons is Senior Counsel in the Antitrust and Consumer Protection Groups. He concentrates a significant percentage of his practice on complex antitrust litigation, with a focus on anticompetitive arrangements in the pharmaceutical industry. Mark Suter is an Associate in the Philadelphia office and a member of the Firm’s Antitrust practice group. He concentrates his practice in complex commercial litigation, representing a broad range of businesses, government entities, workers, and consumers in high-stakes matters throughout the country. Robin Blumenfeld Switzenbaum concentrates her practice on litigating complex civil cases, with a particular focus on real estate, securities, corporate governance (including limited partnerships and REITs), and voting control disputes.